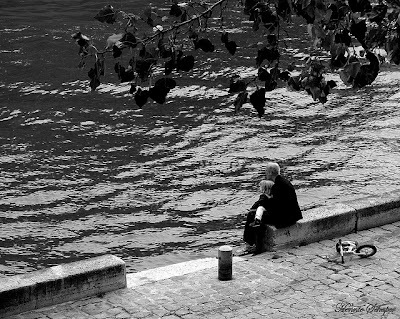 This one of my own favourites, a wonderful scene of a granddaughter and grandfather at the banks of the Seine. A timeless feeling helped by the black-and-white conversion, and good framing with the tree branch at the top. A shot I am proud of, and one that is regularly displayed in our gallery window.